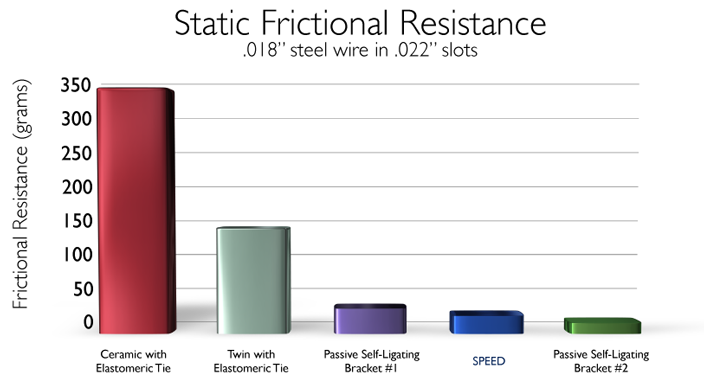 The ligatures used with traditional appliances apply a heavy binding force to the archwire, greatly increasing frictional resistance. SPEED's design eliminates the need for ligatures, greatly reducing frictional resistance. This allows clinicians to move teeth with greater predictability using significantly less force.